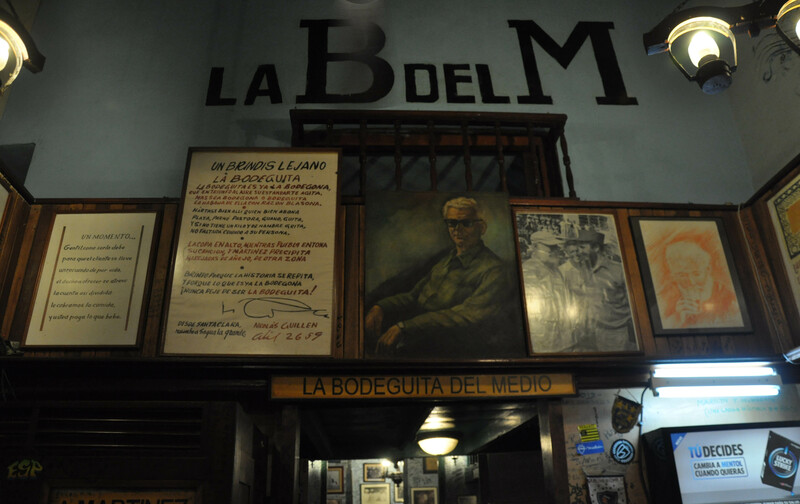 In Habana there were a few bars we absolutely had to visit.One of these was La Bodeguita del Medio, meaning “the little bar in the middle”, made famous by various artists (including Hemingway, of course!) that sat there eating and drinking. 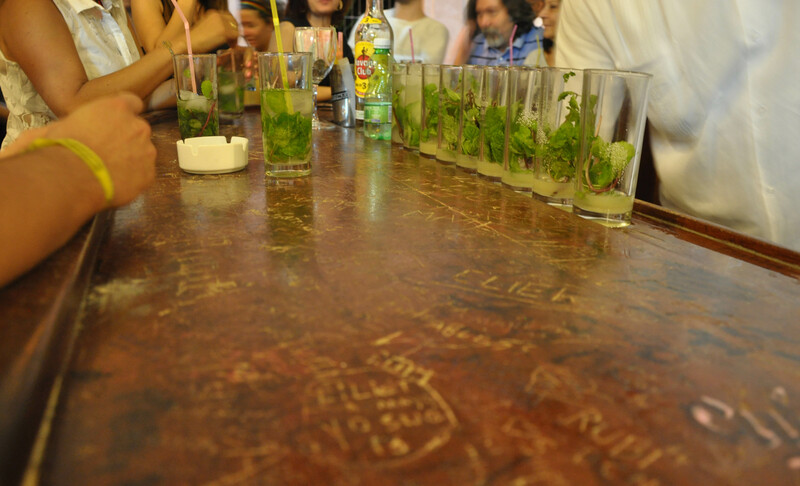 Although it claims to be the birthplace of the mojito, there isn’t any hard evidence on the fact and I think it’s just a cheap marketing strategy. 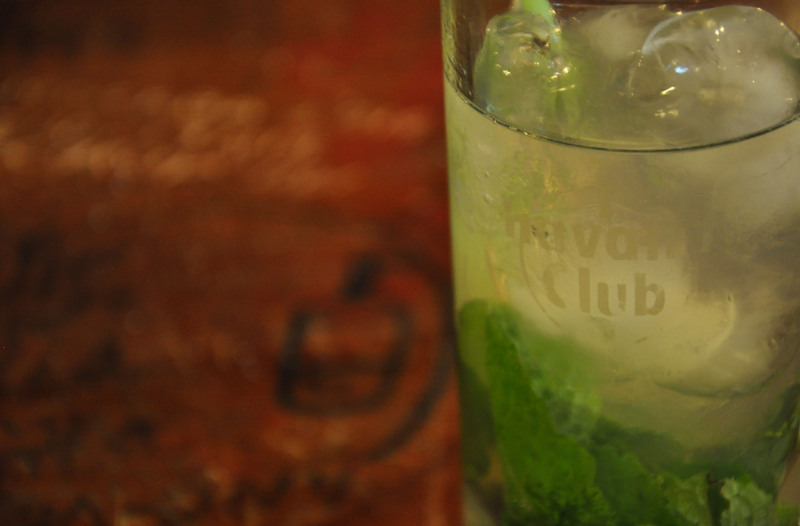 And the mojitos here are quite expensive, too. 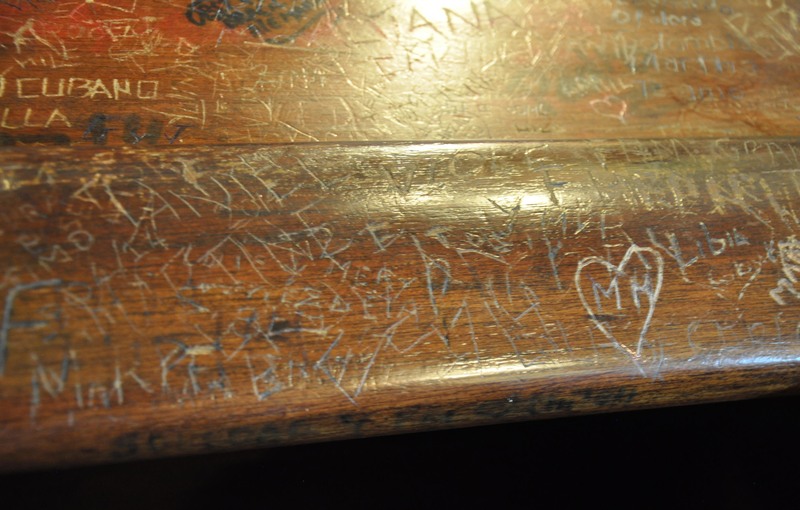 What they do have that is different is a tiny, bohemian bar scene and a larger restaurant area, all covered with signatures. 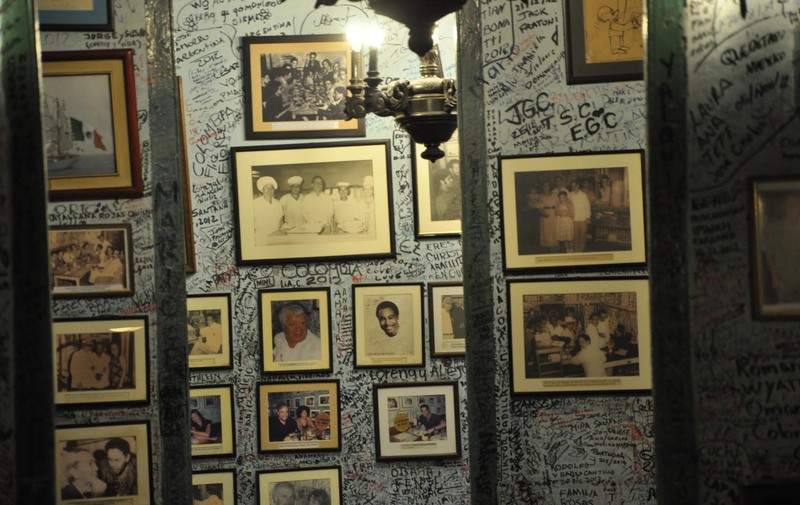 They say Hemingway’s is among them, but probably impossible to find! 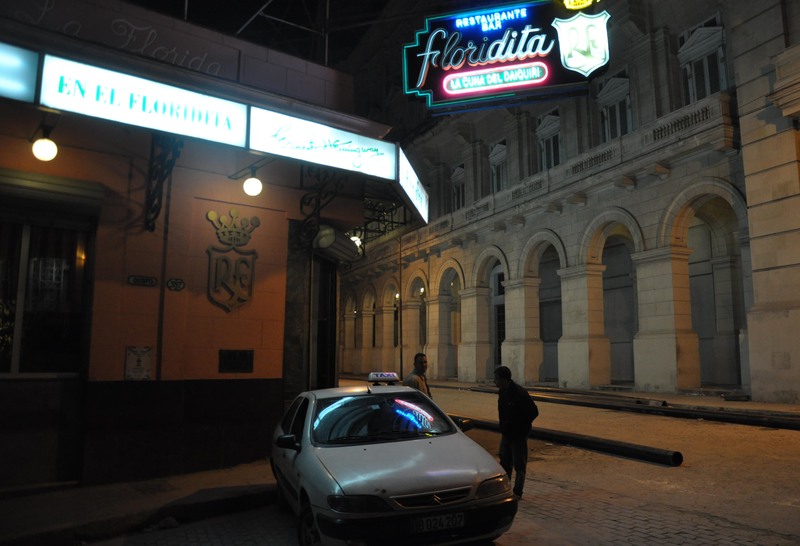 We saw La Flordita a few nights later, when we got lost trying to find a square that we really wanted to go to but couldn’t remember where it was. 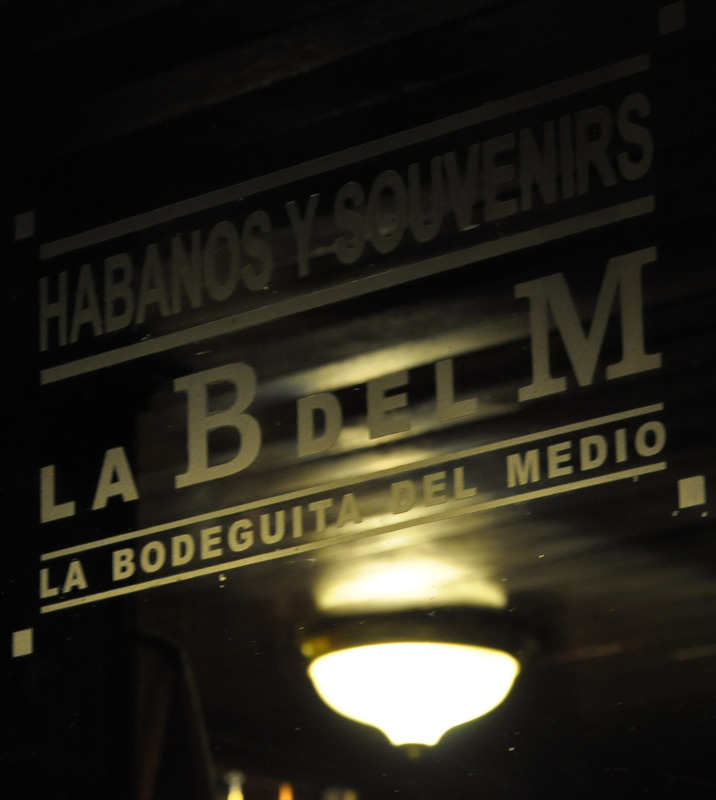 We didn’t go in, however, because we were starving (night activity happens much earlier in Cuba than in Spain and we were frightened we’d find all the restaurants closed, like we had the night before) and it wasn’t a problem, really, because the green and pink neon signs above the bar in a sketchy area weren’t inviting at all. 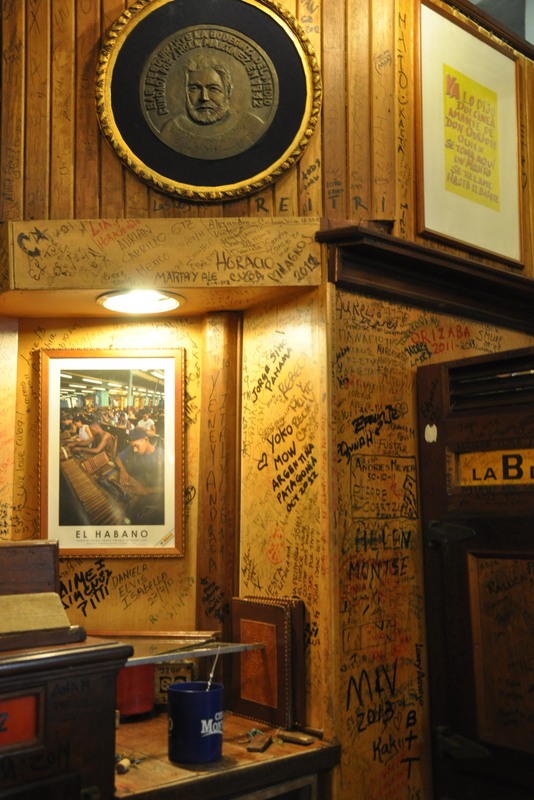 I guess we’ll have a bar to visit next time we go! ← Tomato soup – a first but definitely not a last!